Many people have a hard time remembering what they ate for lunch, what they did yesterday or last weekend, or where they put their eyeglasses and keys. Edgar Degas (1834–1917). Two words and a date range that make a pregnant, robust statement. 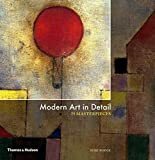 Susie Hodge, with her depth and breadth of experience in art history, delivers an approachable panorama of an enigmatic category of art history referred to as Modern Art. Vincent Van Gogh was one of those artists who brought the fullness of his unique character to his lifestyle, his relationships, and his artwork. 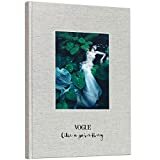 Vogue Like a Painting is a love letter to fashion, photography and Vogue itself. Once upon a time, in a Victorian era that never existed, the world was full of marvelous contraptions that were both functional and beautiful. Two sides of an equation: the personal and the social; the musical and the social; the visual and the social; the body and the social.